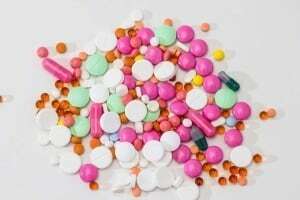 Can You Qualify For Social Security Disability Benefits If You Are Not On Medication? The Social Security Administration has its own parameters to determine whether you are disabled, and are eligible for disability benefits. If you are currently impaired, but are not on any medication, you may find it more challenging to get approval for disability benefits. For help filing a claim, speak to a Los Angeles Social Security disability benefits lawyer. This does not mean that it is not possible for you to get benefits if you’re not on medication. There are some conditions that may leave you impaired or disabled, but may not involve a heavy use of medication. For instance, a person who suffers from blindness or deafness may not be on plenty of medication, but the impairment may be disabling enough to affect his ability to earn income. He may qualify for benefits. Many disabilities and impairments, in fact, do not even require a regular schedule of medications. In fact, many conditions do not even require regular doctor visits. Some persons, who suffer from these kinds of impairments, worry that they may not be able to qualify for benefits, because they do not have significant medical documentation of their treatment. When you’re not taking medications or are not making frequent doctor visits, your medical dossier may seem light. However, it is possible for you to get disability benefits even in a situation like this. Remember however, that the Social Security Administration may require you to undergo a consultative medical exam. This is a medical exam that is performed by doctors, who are contracted by the Social Security Administration, and is meant to determine the extent of your disability. A consultative medical exam is typically ordered when there isn’t enough medical documentation of a person’s condition. To learn whether your condition makes you eligible for disability benefits, speak to a Los Angeles Social Security disability benefits lawyer.